When an eye disease develops, there can be a lot of uncertainty about how to manage it. 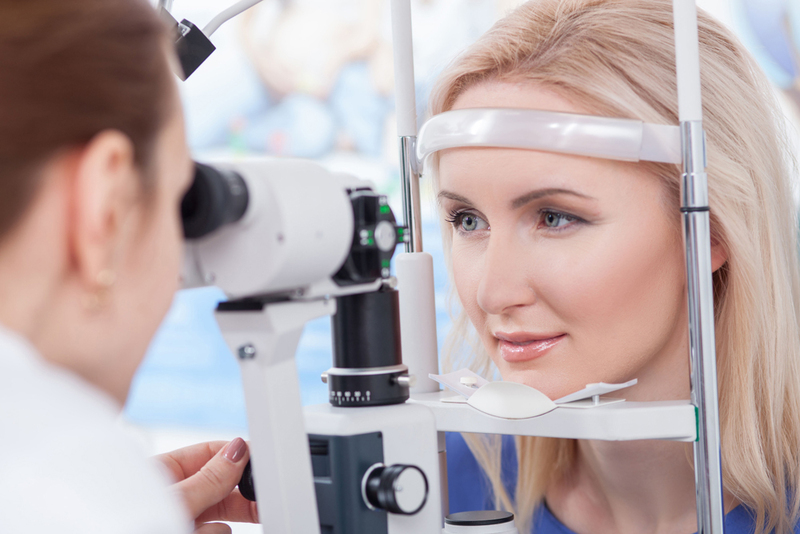 Our team at Richardson Eye Associates in Richardson, TX believes that early and routine screening along with best-practice diagnostic and therapeutic services can help people of all ages maintain optimal eye health. There are many different common types of eye diseases that people might not be aware of. Listed below are some common types of eye diseases diagnosed and managed by our Richardson optometrist team. Common with age, diabetes, and cigarette use, cataracts occur when the clear lens in your eye progressively becomes cloudy. Symptoms include blurry vision and haloes around bright lights. This condition is associated with increased inner eye pressure and damage to the optic nerve. Called the "sneak thief of sight," it often has no symptoms early on, but can cause blurry vision. An acute form of glaucoma causes sudden eye and head pain and is considered a medical emergency. Also common with aging, macular degeneration occurs when the center of the retinal tissue deteriorates and breaks down, either due to an overgrowth of small blood vessels or deposits of small yellow spots called drusen behind the retina. Symptoms include blurry vision and straight lines appearing wavy. A leading cause of blindness, this eye disease also causes degradation of the retina due to chronically elevated blood sugar which causes inflammation and scarring. Your eyes are normally covered with a tear film that provides moisture and protection. If something impairs the amount or quality of tears (such as allergy or oil gland dysfunction), then tears can dry out leading to itchy, red, and watery eyes with blurry vision and increased sensitivity to light. When you consult with an optometrist in Richardson, we'll go over your personal and family history, then use tests and measures to assess your vision and examine the internal and external surface of your eyes. If we are able to detect early warning signs or confirm an eye disease diagnosis (often before symptoms develop! ), we'll work with you to determine the most appropriate plan of care. We may utilize services such as medicated eye drops (e.g., moisturizing ones for dry eye or inner eye pressure-lowering ones for glaucoma), corrective lens prescription, and peri-operative care (e.g., for cataract removal or tear duct plugging in the case of dry eyes). Contact Our Richardson Eye Associates in Richardson, TX! To schedule an appointment with an optometrist near you, contact Richardson Eye Associates today by calling 972-231-3439.